Hey Team No Excuses fans we always want to share recipes and this is one of our family favorites. 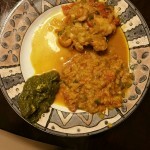 Chicken curry with cashews, spinach with paneer, and red lentils cooked into a soup. We love it, my twins love it, and so we will share it with you. 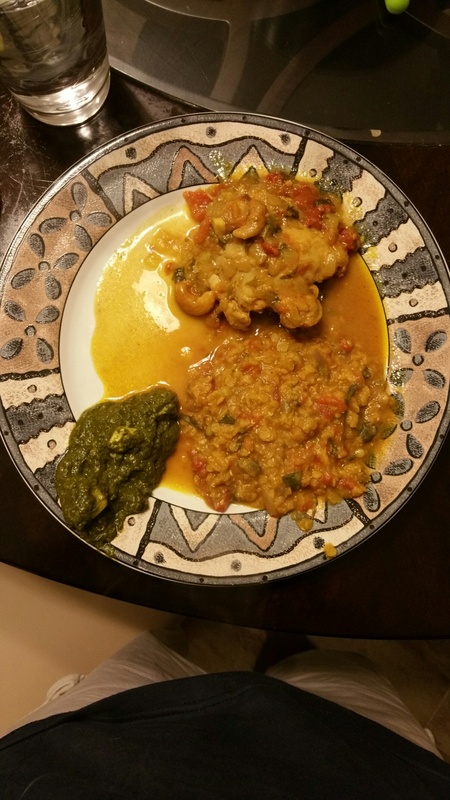 Chicken Curry – Onions, garlic, tomatoes, curry powder, garam masala, jeru powder, turmeric, cashews, chicken bouillon, cilantro. Red Lentil Soup – Red onions, garlic, ginger, jeru powder, garam masala, diced tomatoes, coconut milk, spinach, and red lentils. Spinach Paneer – Red onions, garlic, ginger, jeru powder, garam masala, turmeric, dhana jeru powder, spinach boiled and pureed, paneer cubes. ←Eating for your blood type Debunked!